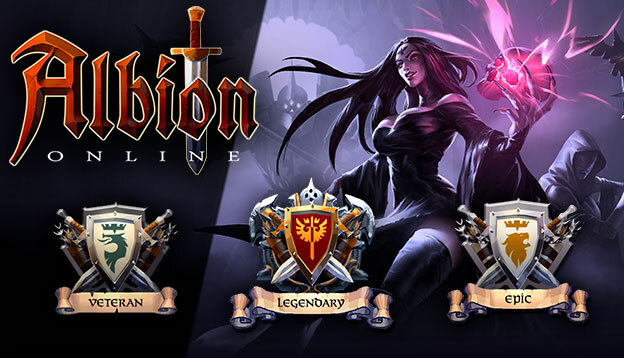 Albion Online is a sandbox MMORPG set in an open medieval fantasy world. 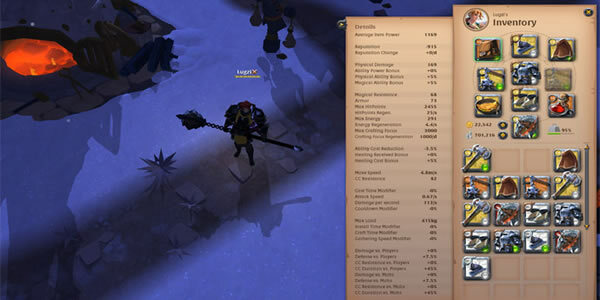 It has an entirely player-driven economy; all equipment items are player-crafted. You can freely combine armor pieces and weapons in our unique classless system – you are what you wear. Explore the world and tackle challenging PvE content. Engage other adventurers in small- or large-scale PvP, and conquer territories. Gather. Craft. Trade. Conquer. Leave your mark on the world. 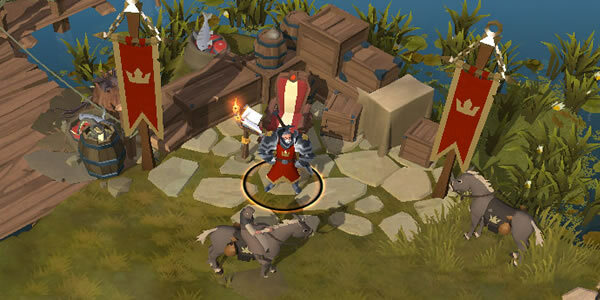 Albion Online developed by Sandbox Interactive is a buy to play medieval MMO. It's a classless cross-platform MMORPG that allows for endless possibilities. Across 800 different territories, guilds can engage in PvP for control of the world. Cross-Platform | Everyone can play together whether they're on an iPad, Android tablet, on Windows, Mac, or even Linux. Player Driven Economy | All items and buildings are player crafted. Fight Across 800 Territories | Guilds can fight around the world and conquer territories for resource advantages. Once an immensely powerful sorceress, Morgana diminished after a cataclysmic battle with Merlin at the end of the Great War. However, her devoted Disciples walk the earth still, bearing her standard in the name of evil, devastation. And revenge. Build your home, then furnish and decorate it to your style! Comfy beds, tables laden with hearty food, gruesome hunting trophies Furniture not only makes your house a home; each item also provides distinct bonuses and abilities to your character. Need a break from fighting for your life, but still want to support your guild? Retire to your private island off the coast of Albion and build and maintain a farm, including crops and animals, with a whole new set of buildings. Generate food to fuel your guild’s war efforts, or even sell on the market for a profit! Challenge yourself with intense, exhilarating PvP fighting with the greatest warriors in the open world of Albion. Gear up and use teamwork to send the enemy fleeing from the battlefield! Only the most skillful fighters will leave the field victorious! This week is your last chance to be part of the Albion family and even to be one of the pillars. Be aware that it has considerable advantages to become a Founder, since the packs contain good assets for a boom in the Albion adventure. Until now, as the latest update for Albion Online, Hector has gone live. Hector is the final major update before the release, it's planned for launched on July 17. The team of Sandbox Interactive is using the coming weeks until the launch to optimize the game and fix remaining bugs. 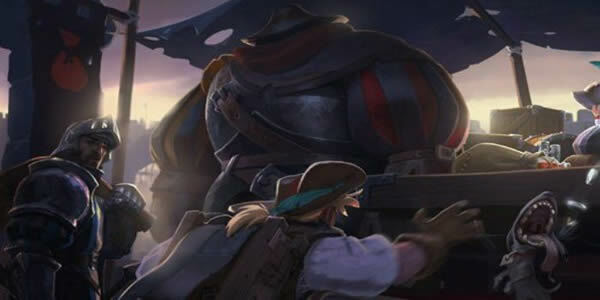 Albion Online have now an exciting feature, from mobs and chests alike, both will now be player-crafted: The Black Market. 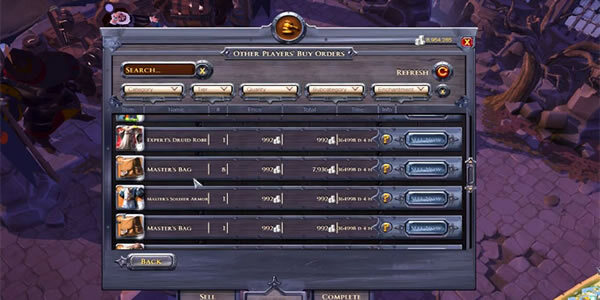 Gamers have entitled to make use of this new NPC buys items, and then crafters and resells them to the different factions of Albion, as a result of that, the items will be loot drops. Having being said, what is the black market? today, let's talk about the new feature of Albion Online: The Black Market. To be honest, when a man is faced with any difficulties, he should be good at adventure, in other word, he is fond of challenging risky things. Since a man's got to do what a man's got do. In this week, the aim of Albion build is for those of you that love to fearlessly engage their opponents to create the opportunity for their team. More details, recommend you visit here: https://www.u4gm.com/albion-online/. In Albion Online, there is fraught with intrigue, crime, and danger. You’ll have to solve challenging puzzles and encounter unexplained mysteries. Experience the game's unique story by tackling countless quests in your mission to foil the evil schemes of the Queen of Hearts. Let's begin adventure in this truly extraordinary magical world. 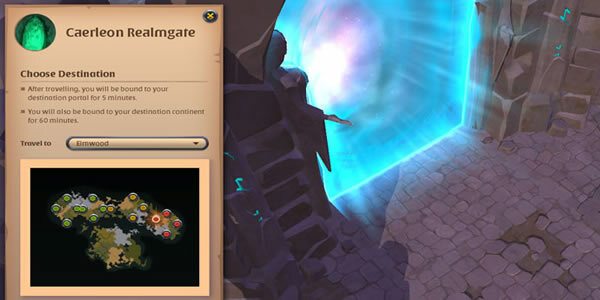 We are glad to know that the final update of Albion Online soon to be released on July 17th, previous update Galahad, and it brought a brand-new world layout. Hence, gamers have highly anticipated for the new update: Hector. The new update content is almost here, including outlands improvements, revamped hellgates as well as the black market. According to U4GM, let's take a closer look at new content details.